Welcome to the wonderful world of Clownbank Studio. 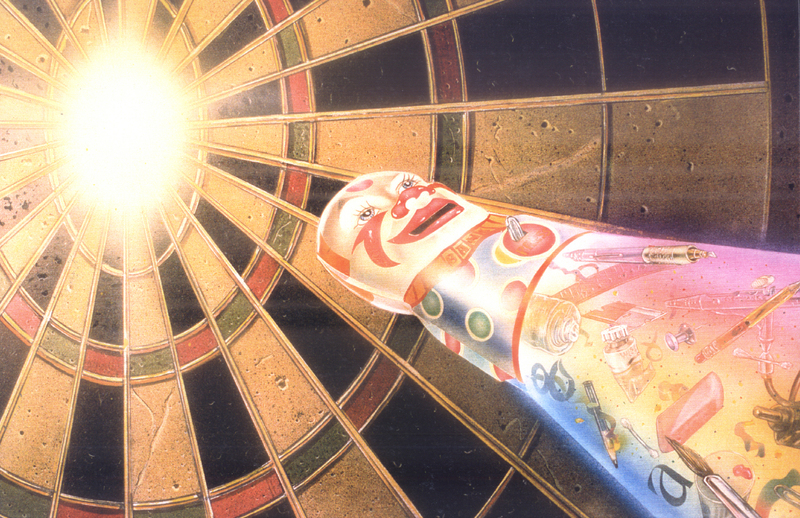 Peter Bartczak, head clown, has been creating his beautiful air brushed murals, illustrations, and signs for longer than he cares to admit but has left a trail of satisfied clients in the process since 1976. Disney, Universal Studio Tours, Dell Publishing, and Six Flags Discovery Kingdom are just a few of the many lucky businesses that have taken the plunge.